In today’s post-modern digital era, the cyberspace that humans virtually created has now become integral in our daily lives. The connection between the physical world and the virtual world have become so seamless that we rely on it for many things. We interact with the Internet for our communications, shopping, banking, transportation, entertainment, and pretty much other significant things in our lives. So, it’s no surprise that many are taking their opportunities to the Internet for jobs and income. The advantage is that they don’t need to be at their workplace physically, and they manage their own time and schedules. 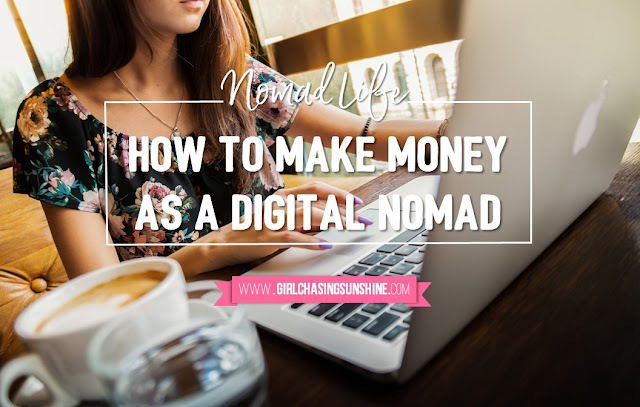 For the wanderlusts who have that strong will to travel but wants to have a steady stream of income, even when employed with a particular company, you can opt to go down the digital nomad road. All you need is a laptop, an internet connection, and a strong motivation for doing online work and freelancing. The most common type of work among the digital nomad community is blogging and writing. It’s common to see writing as a gig or hobby for some and not an actual job, so companies are paying on a per-article or a per-number-of-words basis rather than hiring actual writers to do the job. This system actually is becoming click to the companies, since they need these for SEO purposes or search engine optimization. So, the articles usually contain anchor text or meta keywords that must be present a few number of times for search engines like Google to recognize and improve the site ranking. By content creation, it’s referring to creating digital content such as graphics, logos, audio mixes, video promotions, ads, and other similar multimedia primarily for advertising, or as to whatever a client may need to do with it. If you are one of the creative types who has a decent laptop to carry the workload, you can opt for content creation and design graphics and other multimedia. If you’re into technical work or your career path is oriented towards such, as an engineer, for example, you can still be a digital nomad without chaining yourself to an engineering firm. You can create building designs, electrical plans, floor plans, PCB design, illumination design, and other technical stuff for clients over the internet. The only catch is that the software used is rather taxing on computer resources, so make sure your laptop can handle it. English as a secondary language, or ESL, is most common in Asian countries who have non-English as their major languages. Anyone good in English can opt to teach ESL through chat or sometimes through Skype via video calling. You can also teach other subjects such as mathematics or science if linguistics isn’t your forte.